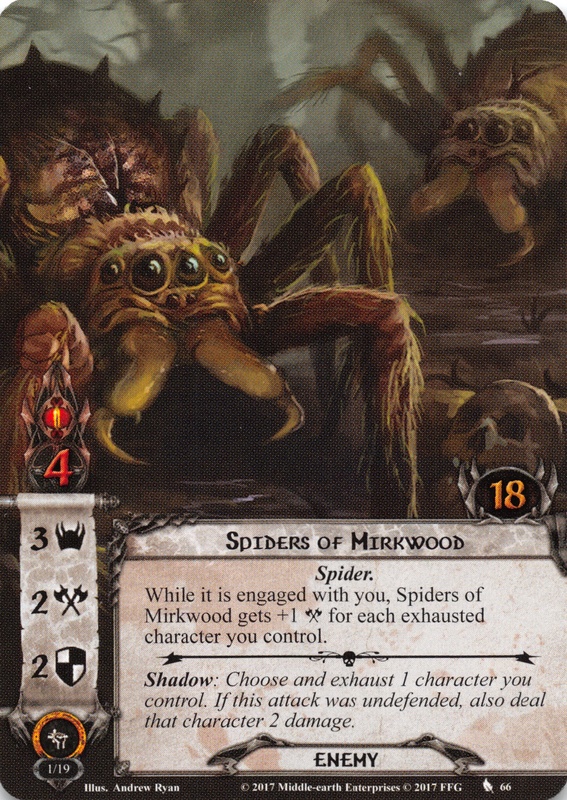 While it is engaged with you, Spiders of Mirkwood gets +1 for each exhausted character you control. Shadow: Choose and exhaust 1 character you control. If this attack was undefended, also deal that character 2 damage.